Evaristo Felice Dall’Abaco (1675-1742), le père, né à Vérone, violoniste, violoncelliste, compositeur, musicien au service de la cour de Bavière, confrontant au gré des péripéties de l’Histoire ses origines italiennes aux influences des grandes cours d’Europe… 6 opus écrits de 1705 à 1735 qui sauront mêler l’esprit et l’équilibre de Corelli avec l’inventivité et le foisonnement d’un baroque à son apogée. 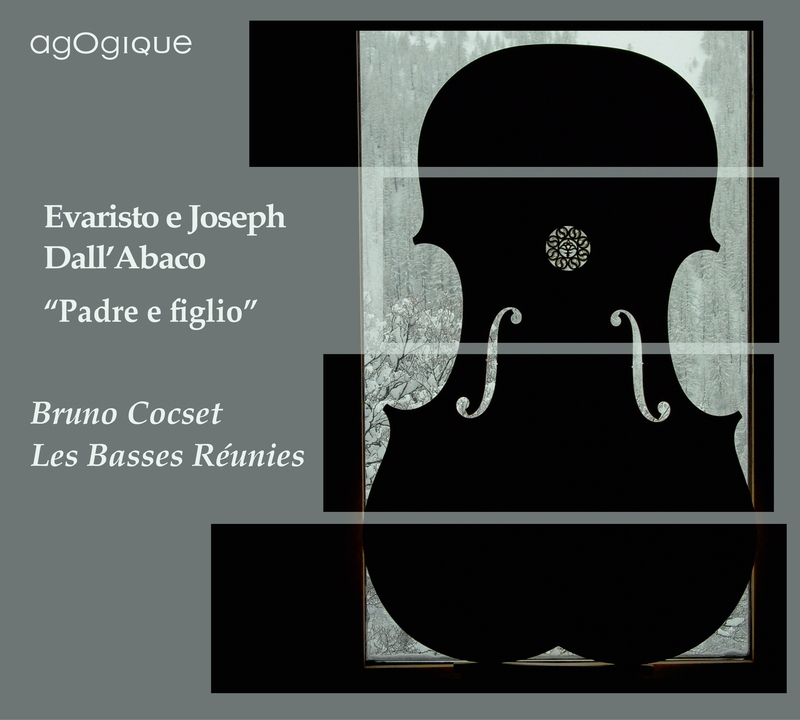 This recording is devoted to two Italian composers, Father and son, who in many ways were typical of the 18th-century artist: Evaristo, the father, is the better known, born 1675, he may have trained with Gasparo Gasparini in Verona, before meeting Torelli. He was part of the retinue of the Prince-Elector of Bavaria, Maximilian Il Emanuel, a famous and extravagant patron of the arts and followed him to Brussels, after defeat in the War of the Spanish Succession. 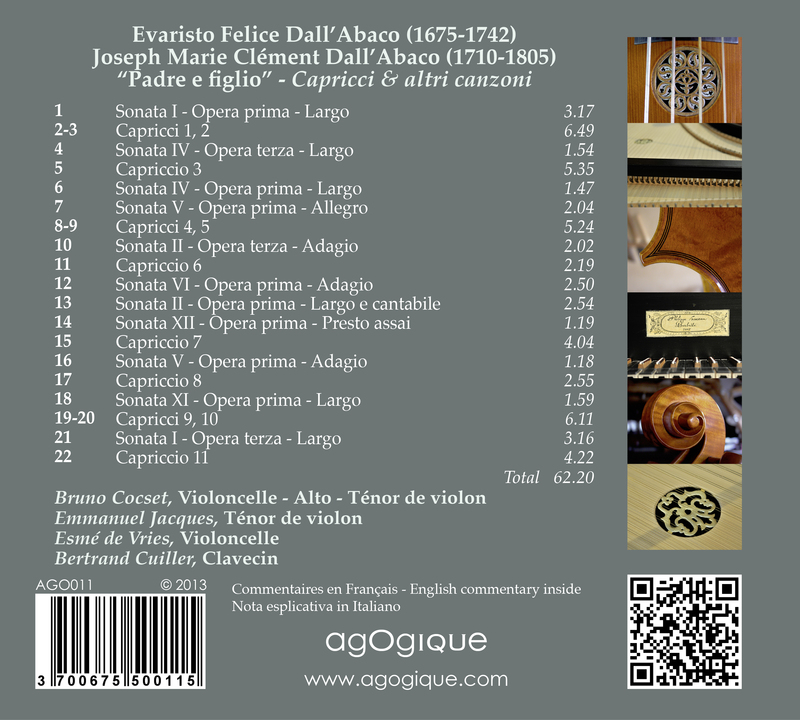 Dall'Abaco figlio composed mostly cello sonatas. Whilst illustrating the new galant and pre-Classical styles, some of his works also retain the gravity of Baroque and the expansive melodic style inherited from his father. The pieces presented here, however, are the eleven 'Capricci del sig. These virtuoso Capricci are played on a new instrument by Charles Riché. The pieces by his father, Evaristo, are played on 'mature' instruments with a more mellow sound.